National Severe Weather Preparedness Week April 22-28.. This Is A NOAA Weather Radio - Do You Own One? "National Severe Weather Preparedness Week April 22 - 28, 2012"
Quote- "As the nation marks the first anniversary of one of the largest tornado outbreaks in U.S. history, the National Oceanic and Atmospheric Administration (NOAA) and the Federal Emergency Management Agency (FEMA) are teaming up during this week to save lives from severe weather by encouraging the public to know your risk, take action, and be a force of nature by taking proactive preparedness measures and inspiring others to do the same. In late April last year, tornadoes raked the central and southern United States, spawning more than 300 tornadoes and claiming hundreds of lives. That devastating outbreak was only one of many weather-related tragedies in 2011, which now holds the record for the greatest number of multi-billion dollar weather disasters in the nation’s history. The country has already experienced early and destructive tornado outbreaks in the Midwest and South this year, including a significant number of tornadoes last weekend. May is the peak season for tornadoes so it is important to take action now. Severe Weather Safety In Southeastern New Mexico. Severe weather has already occurred in southeastern New Mexico this spring. We are only in the beginning of our typical severe weather season, which typically runs from April through June. Sometimes we can have a second severe weather season late in the summer into the early fall (August - October). Severe thunderstorms, tornadoes, and flash flooding can, and has occurred in southeastern New Mexico anytime during the spring, summer, and fall. Severe weather can and has occurred, at any time of the day or night. Most severe thunderstorms and tornadoes occur during the afternoon and early evening hours in New Mexico. Severe thunderstorms produce hail that is the size of a quarter or larger (one inch in diameter), and damaging thunderstorm wind gusts of 58 mph or higher. Severe thunderstorms also occasionally produce funnel clouds and tornadoes. Severe thunderstorms also produce dangerous cloud to ground lightning. What Is A Severe Thunderstorm Or Tornado Watch? Severe Thunderstorm and Tornado Watches are issued by the Storm Prediction Center (sometimes referred to as the "SPC" and is located in Norman, Oklahoma). These watches are issued when there is a significant threat for severe thunderstorms and or tornadoes over a large area. These watches cover many counties and hundreds of square miles of countryside, and typically are in effect for up to six hours or more at a time. What Is A Severe Thunderstorm, Tornado, Or Flash Flood Warning? Please visit this link courtesy of the Albuquerque National Weather Service Office to learn more about the difference between a watch and a warning. Severe Thunderstorm Warnings, Tornado Warnings, or Flash Flood Warnings are issued by these local National Weather Service Offices serving New Mexico. How do I protect my family and loved ones during severe weather? My answer is this...NOAA Weather Radio. We are very lucky here in southeastern New Mexico in that we have five NOAA Radio Repeaters located in the area, and they continuously broadcast local weather information such as Severe Thunderstorm, Tornado, and Flash Flood, watches and warnings as they occur, twenty four hours a day, seven days a week, three hundred and sixty five days a year. Most NOAA Weather Radios come with a battery back-up in case of power failures. These radios may save your life someday...please consider purchasing one today. Every school, church, business, home, and any location where there is the potential for a gathering of people should have one these radios here in New Mexico. Please visit these local National Weather Service Office Web Pages for a local listing of NOAA Weather Radio Transmitter Frequencies in New Mexico and West Texas. 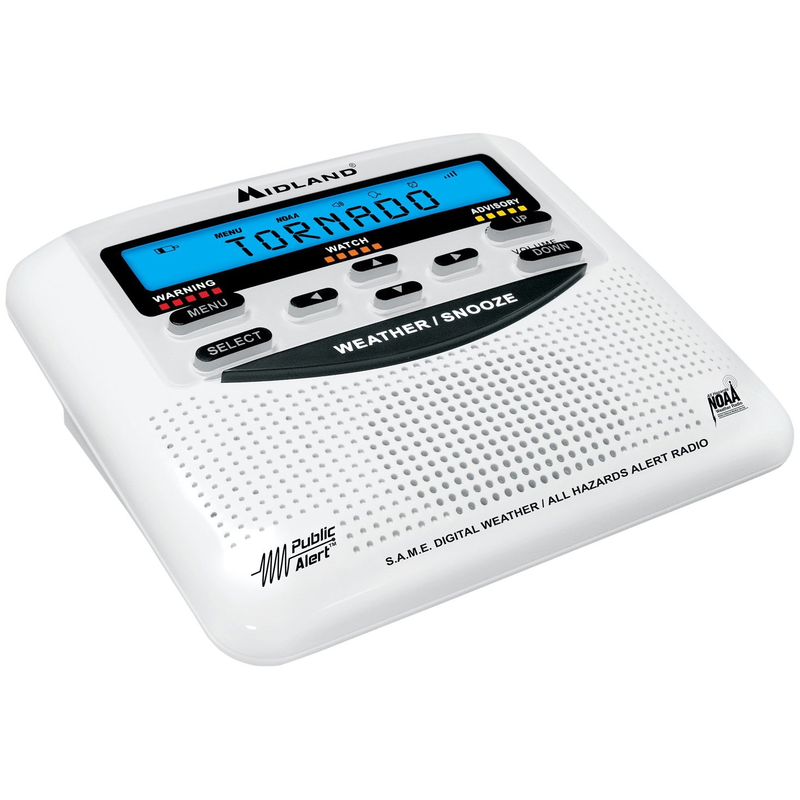 Where can I purchase a NOAA Weather Radio? Simply do a "google search" of NOAA Weather Radios online, and you will find numerous outlets online where you can purchase these life saving devices. They can also be purchased at our local Wal Mart stores, Sam's Clubs stores, Radio Shack Stores, Walgreen's, and other local retailers. Just about everybody has a cell phones these days. Many of these phones are able to access the web. If you have one of these phones here is a cool link courtesy of the National Weather Service that you can receive local weather information including forecasts, radar, satellite, and watch and warning information on anywhere in the U.S.